Asda has been accused of short-changing 3,000 supermarket staff under proposed changes to employee contracts that will end paid breaks. But Siobhain McDonagh, MP for Mitcham and Morden, claims in a letter to Asda chief executive Roger Burnley that staff affected were likely to be up to £500 worse off per year. 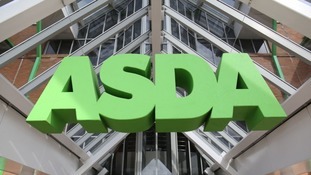 The loss of paid breaks, an end to premium pay and shortening of night shifts would hit staff wages, Ms McDonagh said after a meeting with Asda senior director of public affairs Chris Lowe. Approximately 2,700 staff will lose up to £500 per year, with a further 300 harder hit, she claimed in the letter which she tweeted in full on Tuesday. Ms McDonagh, who has a large Asda in her constituency, wrote: “For these staff, £500+ is a huge amount of money and would have a significant impact on their livelihoods. Proposals will also see night shifts reduced to five hours, between 12am and 5am, she also claimed. The new contracts would increase the basic rate of pay from £8.21 per hour for all retail employees, and would still include the benefits of an annual bonus, colleague discount, sharesave and pension. However staff will be asked to work more flexible times such as on bank holidays while breaks would no longer be paid. Ms McDonagh raised concerns over this flexibility and said that while some might welcome the change, others who may have care considerations may find the changes “extremely difficult”. It comes after Asda’s prospective merger partner Sainsbury’s made similar changes to its contracts last year, eliminating paid breaks but upping the base level of pay. The news comes with the Competition and Markets Authority expected to shortly publish Sainsbury’s and Asda’s responses to its provisional findings, ahead of the regulator’s final report, which is set to be published by April 30.